Love to piece quilt tops, but too intimidated to try to quilt them yourself? This class is for the very beginner. We will cover the basics: marking your quilt top, stitching in the ditch, following a design, and free motion stitching. We’ll be using a pre-printed panel to minimize preparation time and maximize learning. The panel is large enough to allow for continued practice at home. Please note that this class requires that you have two specialty feet for your particular machine: a walking foot and a free-motion or darning foot. If you can’t find them locally, you may have to special order the feet for your machine, so be sure to allow time for their delivery. 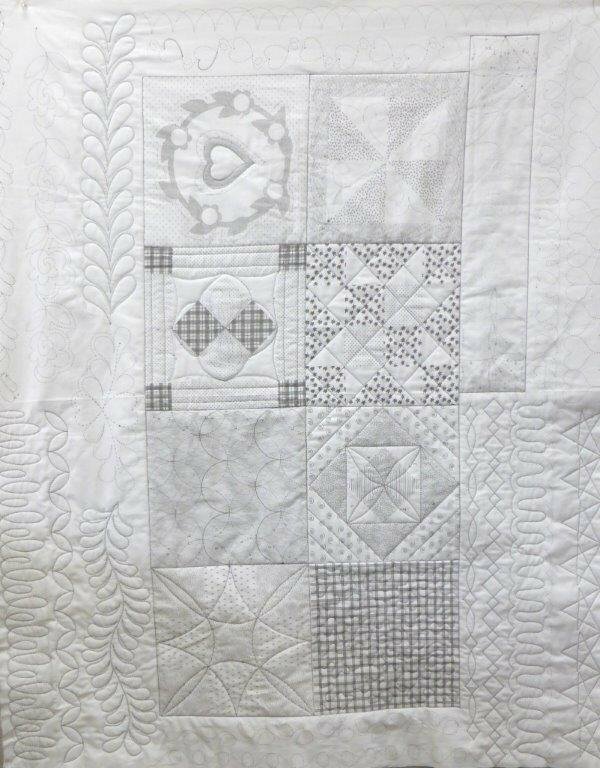 In the first lesson we will cover machine quilting with the walking foot, and free motion quilting in the second lesson. You must be able to drop the feed dogs of your machine. You also need an extension table, such as a Sew Steady table.